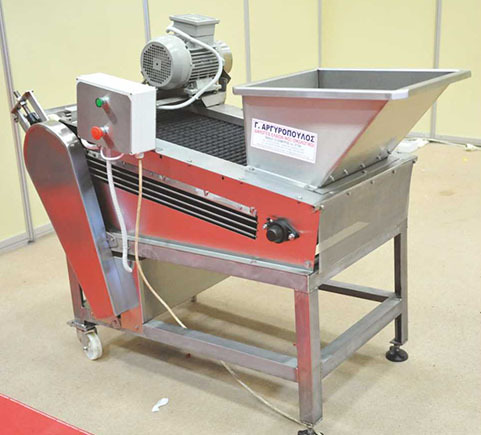 We manufacture olive cutting machine entirely from stainless material suitable for food. 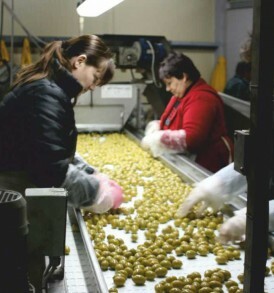 Each olive cutting machine is in compliance with European and Greek legislation. 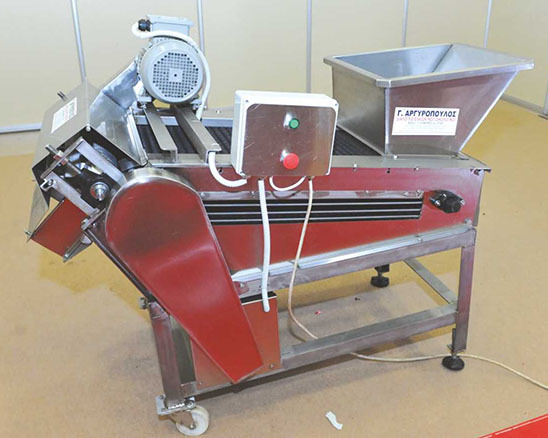 Also all olive cutting machines are available after order. 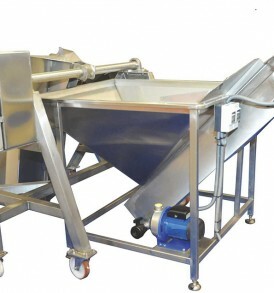 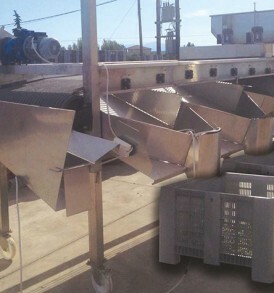 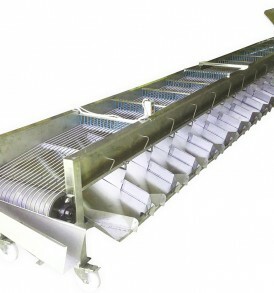 It is intended for the cutting of pitted olives in slices and functions in line of production or autonomously. 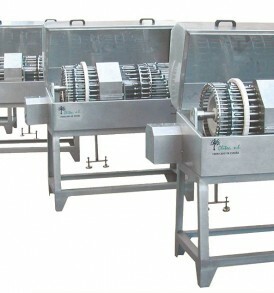 It functions with speed reducer 0.75 (IR). 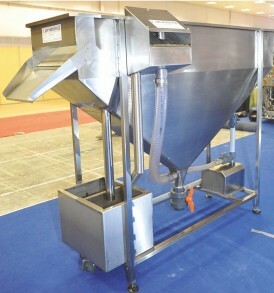 Capacity 800 kilos / hour. 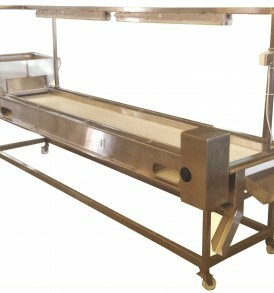 It is manufactured by stainless steel materials 316/304 with belt INTRALOX type and stainless pump of return of brine. 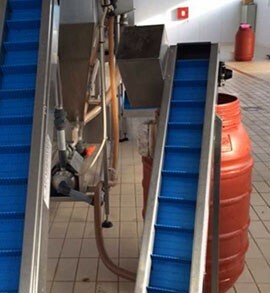 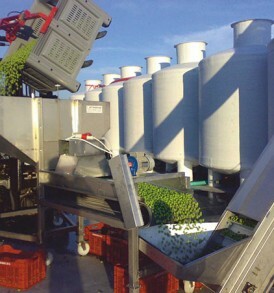 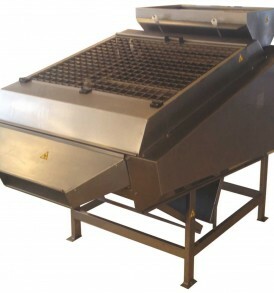 Pre size selector (grader) TURBO PROFESSIONAL is intended for the removal of leaves and separate the olives before they enter in the reservoirs or before they been processed.